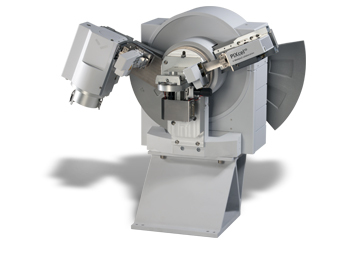 We are happy to announce that Particle Analytical has purchased a new XRD instrument: X’Pert³ Powder from PANalytical. XRD (also known as XRPD/X-ray powder diffraction) is the golden standard for identification of crystal forms of pharmaceuticals: Most API’s are able to form different crystal forms. As the different forms will have different properties with regard to stability, one should be sure to control which of the crystal forms are present in the product. Thus, the crystal form is determined by XRD, where different crystal forms will give rise to different diffraction patterns in an XRD measurement. Furthermore, XRD can be used for purity analysis, i.e. quantification of “unwanted” crystalline impurities in powder samples. Especially in cases, where a metastable crystal form is used in the drug product, it is essential to secure that transformation into other crystalline forms does not take place during storage! With the new instrument we are ready to perform GMP analyses. Please use the contact form if you want to know more about the possibilities – or if you want to order analyses.